Patna, January 12: Two young champions, Sanil Shetty and Ankita Das, made the Platinum Jubilee year Senior National Table Tennis Championships their own, crowning themselves with the singles titles at the Patliputra Sports Complex here today. 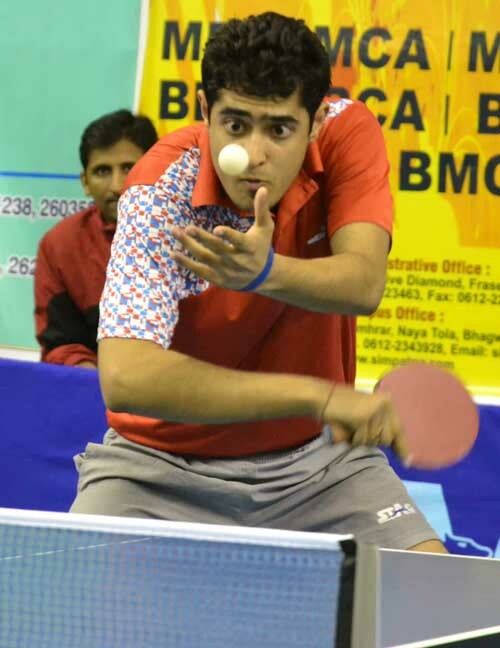 Patna, January 11: Defending champion Soumyajit Ghosh bowed out of the men’s singles when he lost tamely to his PSPB teammate Harmeet Desai 1-4 in the quarterfinals of the 75th Senior National Table Tennis Championships at the Patliputra Sports Complex here today. 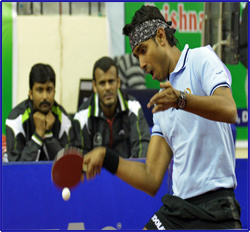 Patna, January 11: The men’s pair of Jubin Kumar and Sourav Chakraborty did Haryana proud when it snatched victory from the jaws of defeat to annex the doubles title in the 75th Senior National Table Tennis Championships at the Patliputra Sports Complex here today. Patna, January 10: Top-ranked Indian Achanta Sharath Kamal, after having been relegated to the No. 6 position in the seeding list at Raipur nationals last year, has regained his No. 1 spot in men’s singles event of the 75th Senior National Table Tennis Championships following the main draw taken out at the Patliputra Sports Complex here today. 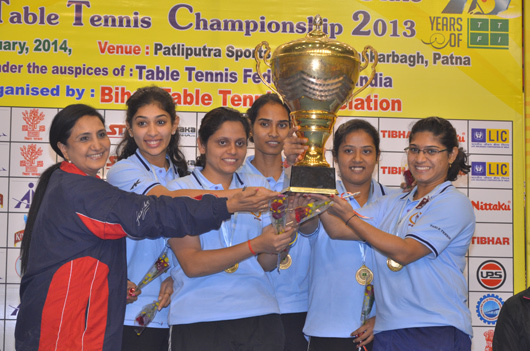 Patna, January 9: The formidable Petroleum Sports Promotion Board (PSPB) men trounced West Bengal 3-0 to extend their reign over the Barna Ballack Cup for yet another year, while their women regained the Jayalakshmi Cup, after beating North Bengal 3-0, in the team finals of the 75th Senior National Table Tennis Championships at the Patliputra Sports Complex here today.